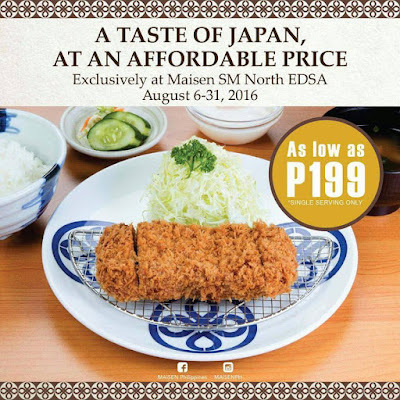 Missed Maisen's Buy1 Take1 Katsu Promo last week? No worries! Maisen's Anniv Treat continues at Maisen's branch in North EDSA! For as low as P199.00 you get to taste Japan's appetizing Katsu meal. This promo is available until August 31, 2016 at #MaisenPH SM North Edsa only.